Everyone should strive to maintain a good credit score. Use the following tips to make sure that you are using credit the right way to help you keep your credit score in check. Look around when applying for credit. Do not take the first deal that is offered your way. Make sure that the interest rate is something that you feel comfortable with. 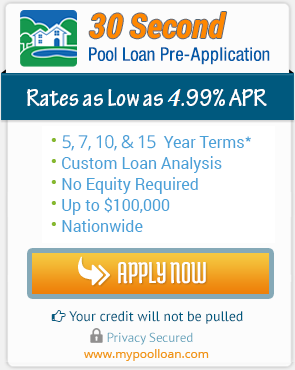 There may be better rates out there, you may just have to look a bit harder. Take a while to really think it through before pursuing the deal. Keep all credit card information in a safe spot in your home. If by chance a credit card was to be stolen, you can quickly call and inform the company that your card is not in your possession. Have the phone numbers listed as well as your account numbers. Pay all bills on time. If you can afford to, pay the full amount due. This will keep interest charges down. If you make day to day purchases, such as gas or groceries, pay this amount in full each month to avoid a large bill hanging over your head. Pay your debt down. Lowering your debt will mean less outstanding debt. Your credit score will be lowered due to the fact that your debt to income ratio has changed. Paying down your debt may take time, but in time, your credit score may reflect better rates for you when you apply for credit. A wise move would be to pay down the credit card with the highest interest. This will save in interest charges if one does this. Many think that paying off thecard with the smallest amount on it and then working their way up to the highest due is the way to go but in reality, you do not want to get socked with high amounts of interest. It is best to pay as much as you can on the highest interest rate and work your way down to the lowest interest rate. Set goals. Say you want to have a certain account paid off by a certain date. Or that you want to use credit less and be smarter about it. Set these goals and make it a point to work towards them. Tell someone close to you about your goals and have them ask about them from time to time. This can keep you accountable for your actions. Set limits. Let yourself only spend X amount of dollars a month. Look closely at your credit card bills each month. Make sure that you are only being charged for purchases that you have made. If you see a charge that should not be on the card, call the company promptly. Dispute the charge to have it removed from your account. Be selective about accounts that you open and close. Never apply for credit all in one sweep. This is a red flag to creditors. Instead space them out. Do not think that if you have a mix of credit on your account, it will make your credit look better. In truth, opening accounts too close together makes your account look worse than if you only had one or two different forms of credit. If you have had an account with a company for a while but no longer use it, do not close it. It will not hurt to leave an account open that is not being used. The longer you have a card open with a creditor, the better. This shows the age of your accounts. If you close an account that has many years on it, you can lower your credit score. Read the fine print. Always read the entire agreement before accepting the terms and conditions for the credit. Make sure that you understand all charges that you will incur, and if you have any questions, ask before you sign on the dotted line. Stick with your job. Job hoppers may signal a red flag to lenders that you are not stable in the workforce. It is best to find a job you like and stick with it if you can. Following these handy tips will allow your credit to stay in check. The more you have your credit in check the better off you are because it will be easier for you to not only obtain loans, but to get a much better interest rate on them. Using these tips can make you look more responsible as well. It is imperative to follow tthese tips and do not make exceptions to them as these will help your credit remain in tip top shape.